RV and tent camping reservations. Please contact the City of Harrison for more information at (208) 689-3393. Reservations for Summer 2016 can be made after March 31. 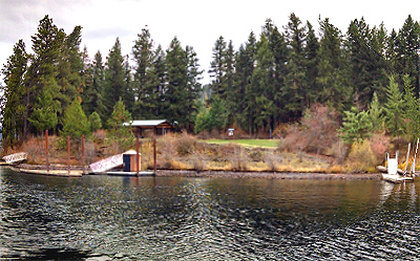 Get info on this forest service campground 6 miles north of Harrison, overlooking Lake Coeur d'Alene. For free dispersed primitive camping on National Forest land near Harrison contact the Coeur d'Alene National Forest headquarters in Coeur d'Alene, Idaho. Camp at one of two boat-in campgrounds near Harrison on Lake Coeur d'Alene. Mowry Boat Park has picnic tables, grills, a shelter, and exceptional views of the lake. To obtain reservations or a special use permit contact Kootenai County Parks & Waterways at 208-446-1275. Windy Bay Boat Park has 14 tent units, seven mooring docks, and floating vault restroom. Open year round. $10/boat/night; $1 for each additional person (over five people). Pack In/ Pack Out.